You know how they say that it is not over until it is over. Well, it is over. At least that is what the Wizards players think right now. Dwight Howard scored 20 points and looked like the big man Washington have been dying for. 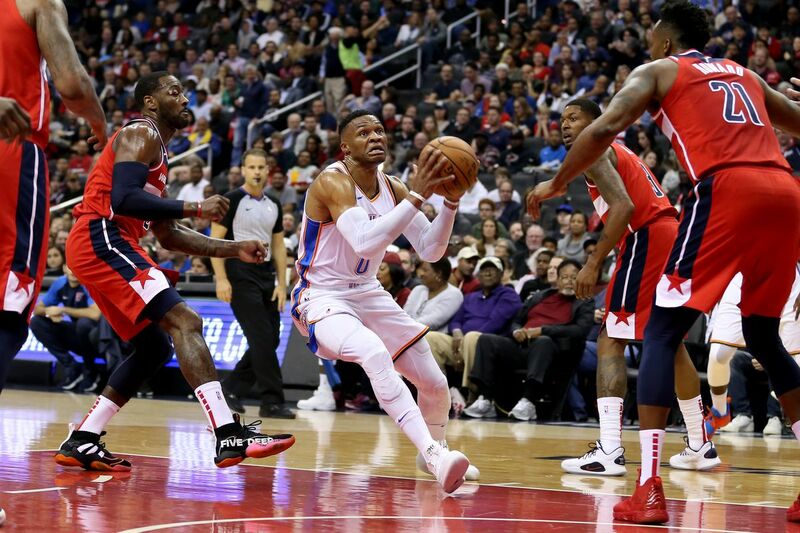 Bradley Beal also added 27 points but it was not enough for the Thunder. Once again, the Wizards bench did not do a good job at keeping their team in the game. The Thunder outscored Washington 48-32 on bench points. Kelly Oubre was the only bench player that was in double figures for Washington. Dennis Schroder scored 16 points for the Thunder and the rest of the bench also looked very reliable. Nerlens Noel also looked good as a backup to Steven Adams with nine points and seven rebounds. This is not normal. Early on, Dwight Howard was making everything happen. He was proving to be a reliable target on offense and the Thunder did not know how to manage that. Both Steven Adams and Nerlens Noel did not look comfortable defending the rim against Howard. This is what the Wizards have been dying for! A reliable presence that can fear the defense and protect the rim. Howard will only get better as the games go on, this is just the beginning for him. Yes. Yes, they are. The Wizards are now 1-7 after tonight’s loss and stand at 15th place in the Eastern Conference. There are only a couple of players that are doing their job and no one else is stepping in. There are many ways the Wizards can try to fix this but they all look unlikely. They could start with firing Scott Brooks. The players did not look like they were playing for him at all. It got so bad, Bradley Beal took the clipboard from Brooks and tried to draw up a play of his own. Overall, tonight was awful. While it is very similar to the 2-8 start the Wizards had two years ago, it should not even be comparable. This team was supposed to be way better than that team and it should not even be close. However, Washington is going to need that kind of luck going forward. We can only move forward and look ahead to the next game against the New York Knicks. Otto Porter Jr. played with a bruised big left toe and scored nine points in only 16 minutes. He left the game and never returned.